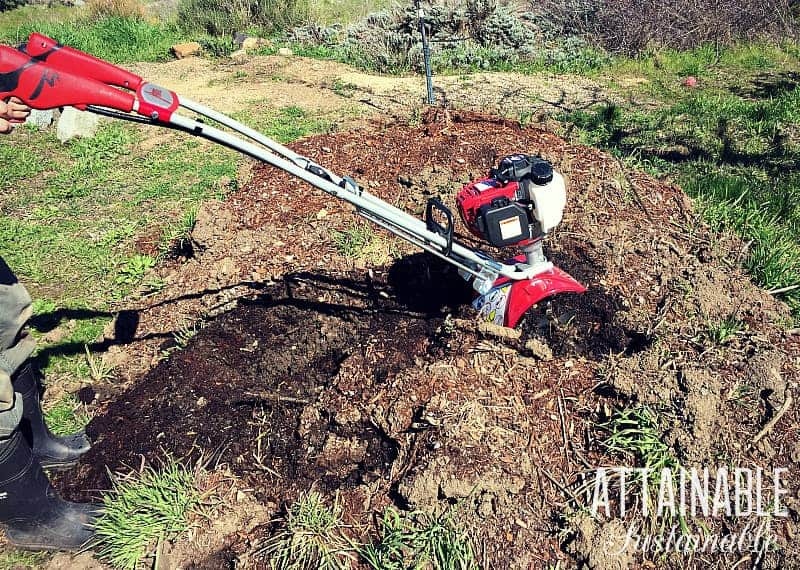 A compact rototiller gets into smaller spaces than big tillers, making them great for tilling in more unconventional ways around the homestead, even if you don’t subscribe to the tillage method. This post is sponsored by Mantis. They sent Colleen a 4-cycle plus rototiller to test drive and she’s giving it a workout as she transforms her new property into an urban homestead. 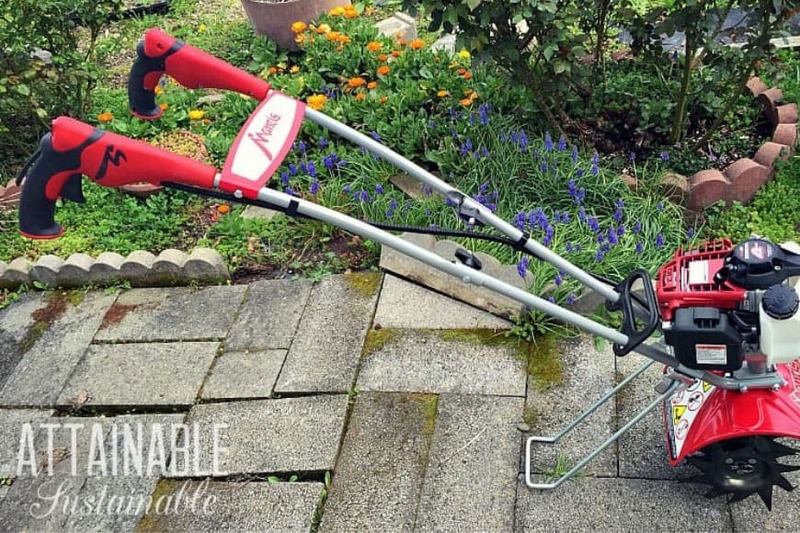 Having a small backyard garden plot is what many of us dream of, and a lightweight rototiller like the Mantis can be extremely helpful for this. It’s simple to use, and can make quick work of turning some dirt into a useful vegetable garden. Because of the size of the Mantis, it can get into some smaller spaces that big rototillers couldn’t even dream of. This also means that it can be used in more unconventional ways around the homestead. Whether or not to till a garden is a hot topic these days. 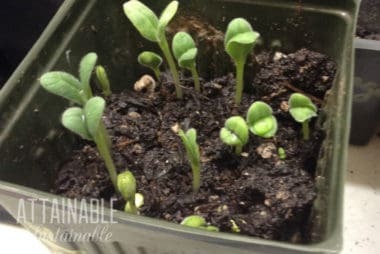 Many gardeners are turning to the more sustainable, permaculture practice of no-till gardening. This practice keeps valuable nutrients in the soil while keeping beneficial organisms happy. It also reduces soil erosion, and to be quite honest, is a lot easier than having to worry about tilling up your garden every spring. Heavy mulching is usually involved, and lasagna gardening has become a popular no-till technique. What does tilling do to soil? Basically, it breaks it up. As with anything, there are pros and cons to this. Breaking the soil up means you’re disturbing the natural order of things. Worms and other creepy crawlers that live underground are disturbed (if not killed) when a garden bed is tilled. Mycorrhizae — fungus that is beneficial to the roots of your crops — is disturbed. On the other hand, breaking up soil can kill weeds or at least make them easier to remove. Aerating the soil by tilling makes it easier for young plants to send out roots. And it allows you to adjust the topography of your garden beds more easily. Why use tilling in a no-till garden? There are a number of times tilling makes sense in a yard or garden, even if you’ve adopted the no-till method. Here are five. Yes, I realize that it sounds counter-intuitive to suggest tilling in a no-till garden, but hear me out on this one. Many times the site where you want to have your garden will be hard packed ground, so a single till your first year will help to loosen everything up and release nutrients that have been building for many years. This is often done by the double dig method, but you can get a similar effect with much less effort with a small rototiller. Then, in the following years, you can move into no-till techniques such as lasagna gardening. Most gardeners have a compost pile that needs to be turned occasionally. 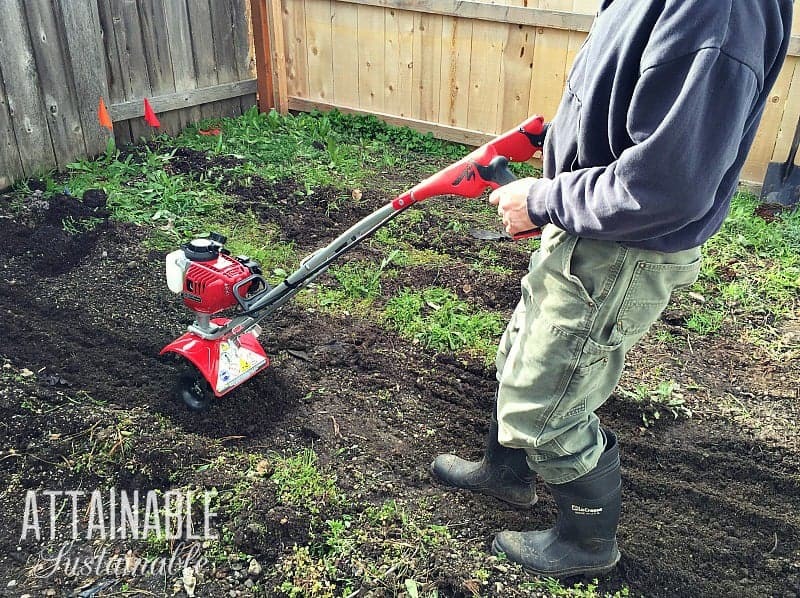 A small rototiller can be used for turning, aerating, and loosening compost or other small dirt piles. 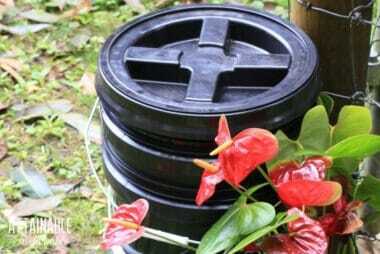 The Mantis is lightweight enough to easily move to the top of your compost pile, and makes turning it a breeze. A swale is basically a ditch that is dug following the contour lines of a piece of land. 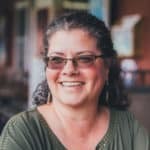 It is a permaculture technique for preventing erosion and keeping water on your land as long as possible. 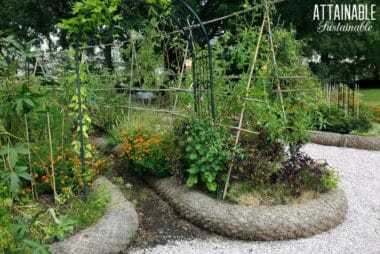 One popular way of utilizing a swale is to build a swale garden bed alongside the swale. Making a swale garden bed can often involve a whole lot of digging, as you’re basically carving out part of a hill. Using a tiller to loosen that soil eliminates much of the hard labor, and will result in a very efficient garden bed. A tiller can help you create a defined edge for your garden and other areas of your property. After tilling an edge, you can easily place rocks, stones, bricks, or logs for a beautiful border effect, or plant a living border such as herbs, succulents, or ornamental flowers. A small tiller is great for knocking down weeds at a fence line, too. Need to move soil around on your property? Instead of shoveling your way through hard dirt, use a tiller to loosen it up first. 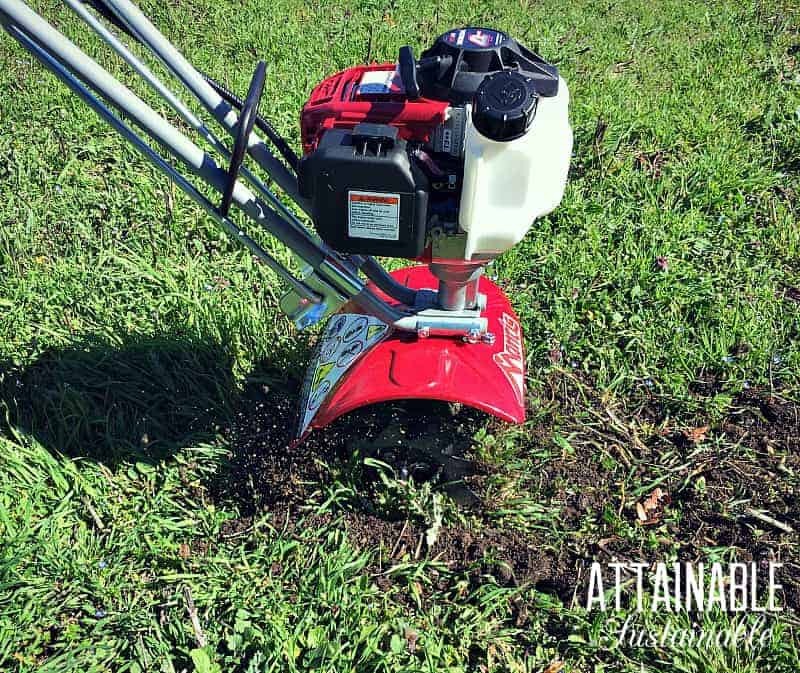 It can aerate compacted soil quickly, thus making your job of relocating it that much easier. There’s a lot you can do with a rototiller, especially when they’re small and easy to maneuver. A tiller really does have a place in a no-till garden, if only to make your life easier. Doesn’t that sound nice? Hummm. I don’t like to “till” my garden. But would love something to “till” my compost pile so I don’t have to turn it. Hello, Candi. I’m sold on compost tumblers. I’ve been using mine for years. Therefore no need for a tiller. I have a mantis and I love it. It’s small, easy to maneuver, and tough. I tore up a piece of yard into a garden last year with it and this year I’m expanding it. And customer service is phenomenal. I love my Mantis. I learned something new reading this. I never thought to use it to turn my compost! I save my energy by putting down cardboard then leaves etc. over areas of lawn or weedy areas I want to convert to garden then 6 months or so later the weeds, even aweful Bermuda grass is GONE and the soil is almost as easy to till as butter. Some friends gave me a waterfall and pond kit for my birthday many years ago. I had to dig down about 2 feet for the pond part, and I don’t know if I could have done it without my Mantis! I would till about 9″ then scoop the nicely loosened soil out and till down another 9″. I also used it to make holes for trees I planted.